Like so many people, I have a personal appreciation for the NHS. The services, care and dedication that people in the NHS gave to me, and many of my family members and friends, from birth to now shaped me a lot and are amongst the many reasons I wanted to get my current job in the NHS as it feels like a real chance to make a difference in somebody’s life (even when they might not realise it or even realise I exist as a backroom admin person). But whilst we all have appreciation and stories of joy to tell there are also endless stories that tell of heartbreak, feeling let down and staff members that say they are overwhelmed. Funding isn’t enough, grants for those training have been slashed, people on wards are put into the deep end solo and computer systems can lead to costly delays. Despite all that, people still work round the clock to keep the machine ticking and people go into outrage at the idea of such a valued institution disappearing. We hear about all the problems and how challenging it can be at times, from third hand sources on TV or in the news, but rarely are we braced with a first hand experience that doesn’t try to sugarcoat the edges or make it out to be a complete nightmare. 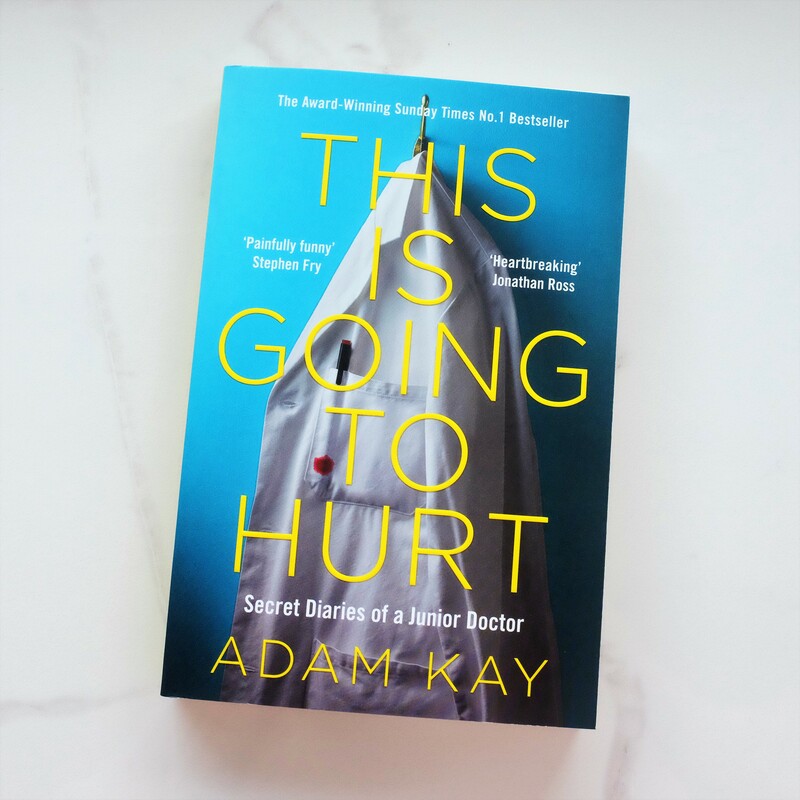 This Is Going To Hurt by Adam Kay changes that and lets the layman into the real life of doing the hospital rounds as a doctor for years on end. It is a painful account but it is very much needed for people to pause and reflect what needs to be done to make the service work better, more effectively and safely for both patients and employees alike. Adam put the book together based on his diary entries whilst working in a hospital, something recommended to go towards development and as a guide in case anything out of the ordinary should happen so it can be referred back to at a later date, and naturally chose the ones that would stand out the most to an audience in terms of amusement or bewilderment. At the start of each chapter, the start of a new placement, he gives a bit of a description as to the environment he was in, the impact on his relationship and where it means he effectively is in the junior doctor ranks before reaching the level of consultant. This little inclusion of extra detail helps to show just how long the journey is to stopping being deemed a ‘junior doctor’ despite the amount of years experience quickly racking up but also helps to remind readers that whilst doctors do hugely lengthy shifts they also have dreams, desires and a life outside of the hospital that often is at risk of being neglected because of the extraordinary work pressures they are under; it provides an insight into the daily life of doctors but also helps to remind the reader to try and cut them some slack when there are delays or they seem to be rushing from one place to another because this isn’t how they would want it to be either. Since leaving the path of becoming a doctor, after an event that comes to light right at the very end of the book, Adam has entered comedy writing and his name can be found on the credits of a lot of TV shows, including Mrs Brown’s Boys, and joins the ranks of the likes of Jo Brand that left the NHS for something a lot more lighthearted and risk-free. Reading the book and the diary entries it is clear to see why such a transition seemed so natural as the writing style is naturally witty and there are points where you cannot help but laugh at the situations he found himself in; it’s impossible not to laugh at somebody’s misfortune of having a kinder egg plastic shell up their vag when it’s written in such a ‘here we go again’ way. But of course looking at it from the outside it could easily be seen how dealing with such things is really frustrating to a doctor because their workload is already overwhelming and dealing with such a ridiculous, but funny, incident could have an impact on another patient’s life or well-being. It really is a mixture of funny and heartbreaking, as the title suggests it honestly does hurt, it shows how the lack of reasonable structure and lack of support for people progressing through medical professions is lacking and how we are losing many incredible people from the sector as a result. This book is well worth a read for the content alone but also for the way it will make you reevaluate everything you thought you knew about the NHS. This entry was posted in Books, Culture and tagged book, book blog, book blogger, book bloggers, book review, Books, diary, funding, Health, hospital, lblog, lblogger, lbloggers, life, Lifestyle, lifestyle blog, lifestyle blogger, lifestyle bloggers, medical, Mental Health, NHS, Physical Health, Politics, truth, wellbeing. Bookmark the permalink.